Certification milestone for Ulia Construction Ltd.
One of Samoa’s Construction companies, Ulia Construction Limited and Ulia Certified Concrete, located at Fiaga Aleisa, yesterday celebrated a milestone becoming a certified ready mixed concrete plant. Terrence Batten, of Auditing Engineer Batten Limited, signed the one-year certification. During the celebration attended by Prime Minister Tuilaepa Dr. Sa’ilele Malielegaoi, Government officials and members of the business community, Mr. Batten congratulated Ulia Certified Concrete. “My role as an engineer is to check the performance of the plant engineer and check all of the processes required to make a good concrete production,” said. Batten. “My role is to check how this is done, why was it done this way and the accuracy of what has been done. Owner and President of the Company, Ututa'aloga Charlie Ulia, said the certification process was not an easy task. “Attaining certification took more than a year,” he said. The concrete business is only part of Ulia Construction’s focus. The company has steadily grown over the years, having won tenders to carry out a lot of road works. One of its current projects is the ongoing drainage works at Savalalo. But yesterday was not about the challenges. It was a day of celebration for Ulia Certified Concrete. 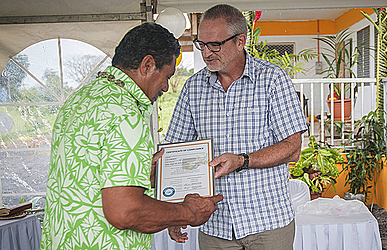 Prime Minister Tuilaepa congratulated the company. 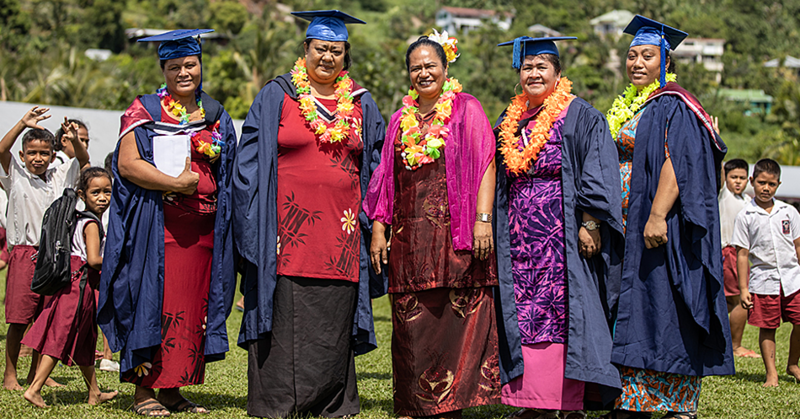 “This is an achievement of not just for Ulia Construction but also for Samoa,” Tuilaepa said. The Prime Minister reminded how tropical cyclone Ofa and Val in the 90’s and the aftermath revealed how weak concrete was used back then. 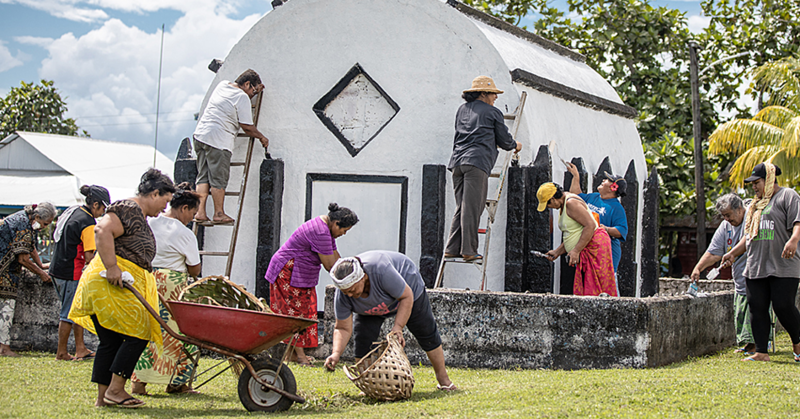 “Even the brick houses were ripped apart and this led to Samoa establishing a building code standard for any new house to be in compliance to assure the families are safe during cyclones. “The strongest cyclone Samoa encountered was Val where it reached 175miles per hour, yet in the Philippines they have had hurricanes up to 300 miles per hour. Prime Minister Tuilaepa said this is why Samoa needs good quality cement. 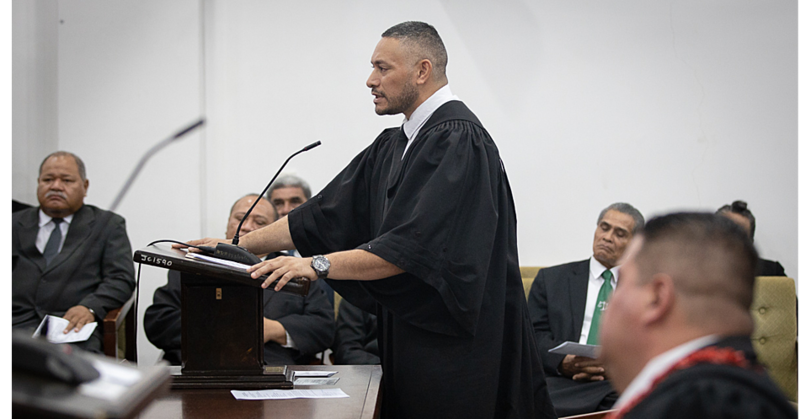 “Thank you for persevering, not many people can achieve what you are celebrating today and that is because you are brave,” Tuilaepa said.